The title of this post might fly over the heads of readers that don’t listen to Metallica, but I’m sure those that do will appreciate it. Anyways, let’s get down to business because this is a monumental matchup. For Silverbacks fans who have been following the team since it’s humble beginnings, it’s a chance to relive some of their favorite memories of supporting the Silverbacks. For Silverbacks fans that were late to the party and have yet to experience a real Silverbacks vs Battery game, it’s a chance to finally be able to cross if off of their Bucket List, and also the fact that the Battery is Atlanta United’s farm team does add a little bit of fuel to the rivalry. To a lot of people, the rivalries that the Silverbacks developed in the NASL with the likes of the New York Cosmos, Tampa Bay Rowdies, Minnesota United, and Ft. Lauderdale Strikers never quite reach the level of the rivalry between the Silverbacks and Battery. The Rivalry started with the formation of the Southern Derby Cup in 2000. It was created by fans of the teams involved to open the door for rivalries, and encourage other fans to travel to the games. The original members were the Battery, the Silverbacks, and Raleigh Capital Express. Ironically, it was Raleigh who won the inaugural Southern Derby cup, only to fold shortly after. The Silverbacks did manage to win a Southern Derby Cup before the Battery did by winning the 2002 edition of it. The Battery came back to win it in 2003, but the Silverbacks went on a tear winning it three years in a row from 2004-2006. The Silverbacks dominance in the Southern Derby Cup was brought to an end when the Carolina Railhawks won in 2007, which was also their first season in existence. 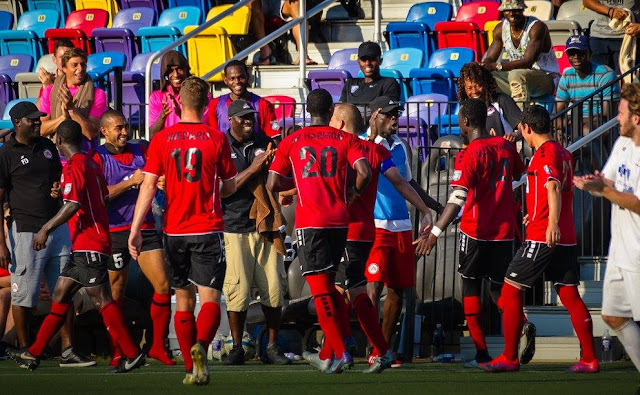 2008 was the final time the Silverbacks would participate in the Southern Derby Cup, following the season was a 2 year hiatus that ended with the Silverbacks joining the NASL in 2011. The Southern Derby Cup went on without the Silverbacks. Nowadays it is being contended for by Charleston and the Charlotte Independence. 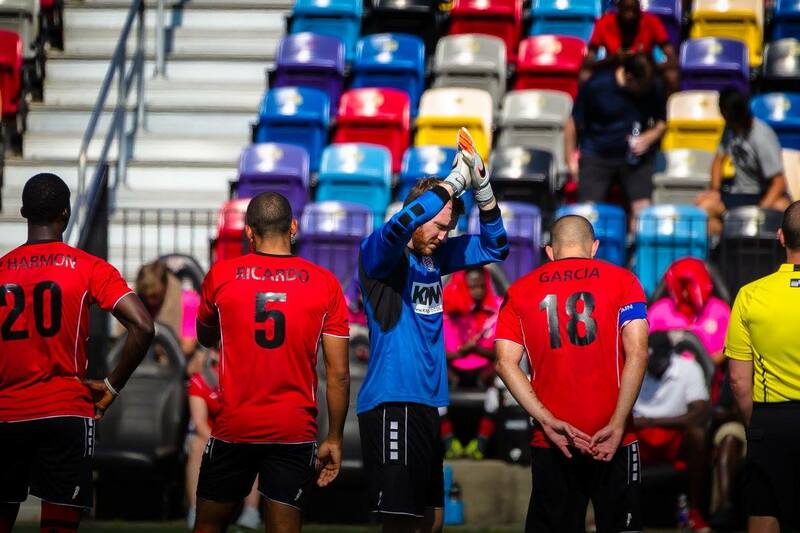 The Silverbacks and Battery did have a preseason friendly at Silverbacks Park in 2012, a 1-0 win for the Silverbacks where Lucas Paulini scored the lone goal, but it goes without saying that a preseason Friendly and the US Open Cup are two different beasts. Winning on Wednesday is going to be a difficult task for the Silverbacks, as the Battery are currently at the top of the USL Eastern Conference with a 6-1-1 record and 19 points. Their top scorer is Romario Williams who is tied for top goalscorer of the USL with 6 goals. Another key player the Battery have is Justin Portillo, who stands alone as the top assist provider in the USL with 5. Portillo even had an assist this past saturday after his free kick met the head of Forrest Lasso in the 62 minute of their 1-0 win over Saint Louis FC. Over the course of 8 games, the Battery have scored 17 goals and only conceded 7. Goalkeeper Odisnel Cooper has 3 clean sheets. The question is, how strong of a team will the Battery field on Wednesday? Not only do they have the game against the Silverbacks, but they also have to travel to Harrisburg on Saturday, and then Bethlehem on the Thursday of the week after. It’s a very busy stretch for the Battery so perhaps what we see on Wednesday will not be a full strength team. One player who is definitely a safe bet to be starting for the Silverbacks is Joao Johanning. After serving his suspension on Friday, and not being active on Saturday, he is fully rested and should be ready to go. Joao has been drawing a lot of rough fouls early in the season, maybe the challenges coming from the professionals that play for the Battery won’t be as desperate as those coming from his NPSL opponents, but there’s still a chance he can draw fouls and create chances for the Silverbacks off of set Pieces. Deon McCaulay did not play on Friday or Saturday with Avery Shepherd pulling double duty up top for the Silverbacks, so he is another player that will more than likely get a start on Wednesday. 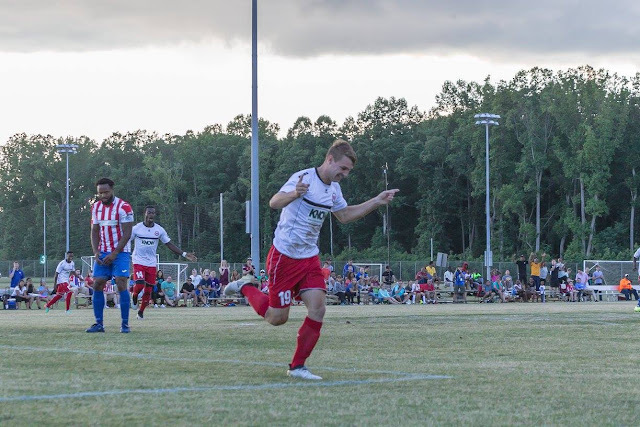 He scored two goals against SC United Bantams in the 1st round this year, as well a goal against the Chicago Fire in the 2014 Quarterfinals of the US Open Cup, so he know how to get it done in this tournament. Kickoff is scheduled for 3:30 at Silverbacks Park, once again. The Silverbacks have made it clear on Twitter that it’s not ideal for them, and then earlier today sent an email giving the fans an explanation to the situation, and also posted the contents of said email on Twitter and Facebook. In the statement, they explained that changing the venue came with a risk of losing the right to host the game, and the club were asked to pay $12,500 in return for a later time slot. Understandably, they decided not to pursue either option. In addition to an apology for those that aren’t able to go, free admission for another future Silverbacks game was offered to those who will be attending Wednesday night’s game. The whole thing was a very nice gesture from the Silverbacks, there’s no question about that. The thing is, it shouldn’t have come to this. I give the front office staff all of the credit in the world for their attempts to salvage the situation, and then for their honesty and transparency once it became apparent that nothing could be done. Once again Boris Jerkunica's stubbornness has affected the Silverbacks in a negative way. All I can say is a G-Rated version of what I've been saying pretty much the whole time I've been a Silverbacks fan, and that is "Shame on Boris!" The fans and players deserve better, and frankly, I think everyone in the front office deserves a Nobel Peace Prize for putting up with Boris. 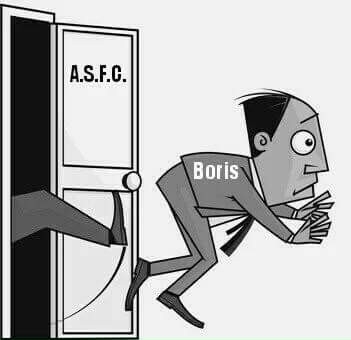 What everyone wishes would happen to Boris. 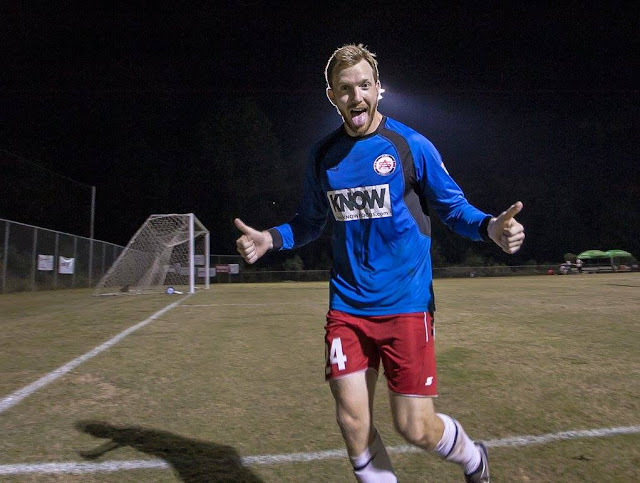 The Silverbacks continue to build momentum after wins on back to back nights against Carolina Discoveries United, and Georgia Revolution. Goals from Ebrima Njie, Mohammed Issahaku, and Alex Harlley guided the Silverbacks to a 3-0 win over Carolina United at Silverbacks Park on Friday. The very next day, Avery Shephard scored the lone goal in a 1-0 win over Georgia Revolution in Hampton. With threatening weather in the area, Friday’s kickoff was delayed until 8 pm, but the worst of it managed to miss Silverbacks Park. 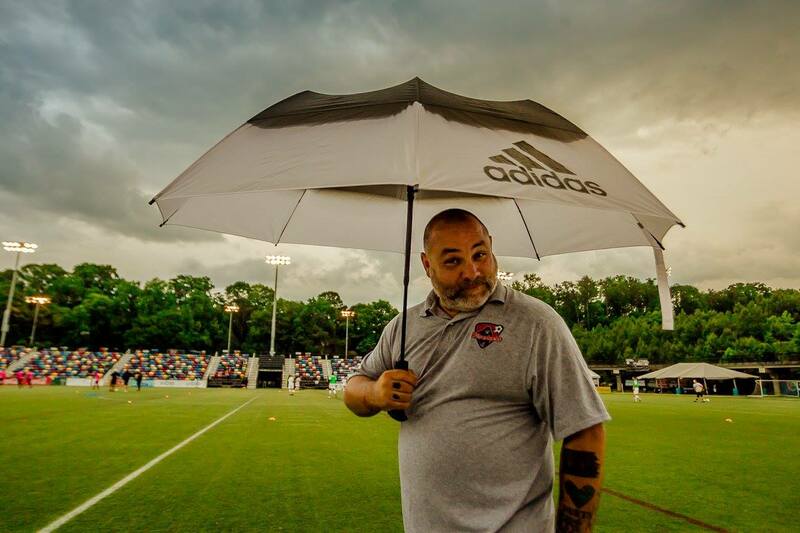 The Silverbacks rained on Carolina United’s parade by beating them 3-0, but apart from a few showers before kickoff, the weather was fine. The game was scoreless in the first 24 minutes, but that changed when Ebrima Njie made it 1-0. Not only did Njie score the goal but he started the build up when dispossessed a Carolina player right after a throw in and passed the ball to Ferrety Sousa. Sousa then switched the play after noticing Mitch Garcia was wide open. Garcia hit the ball very powerfully into the goalkeeper’s hands. He wasn’t able to hold onto the ball, and Njie was in the right place at the right time to put it away. The third and final goal came in the 90th minute when Alex Harlley buried it into the top left corner of the net from just outside the 18-yard box. The goal was assisted by Taka who noticed Harlley had created some space by using his pace, so he passed the ball to Harlley who finished the chance emphatically. At the other end of the pitch, the Silverbacks defenders, as well as Thomas Hunter were absolutely stellar as they earned themselves a clean sheet. Thomas Hunter said afterward that the defense made him look good and he didn’t really have to make any big saves. Thomas Hunter, a fantastic keeper in his own right, had a point about the defense that night. The back three of Njie, Abdul Bangura, and Adnan Bangura were all impenetrable, and the midfield pairing of Lansana and Sousa did a great job of getting back on defense and preventing counter attacking opportunities for the visitors. The Silverbacks were right back at it the next day, taking on the Georgia Revolution for the first time at North Mt Carmel Park in Hampton. The Starting XI that hit the pitch looked very similar to the one that had just played 90 minutes the night before, but the supposedly “tired” Silverbacks managed to strike first in the 7th minute when Avery Shephard scored his first goal of the season. The Silverbacks went into halftime with the lead, but unfortunately, it hadn't been all smooth sailing because Abdul Bangura was sent off in the 41st minute for a high challenge on a Revs player. He will be suspended for next Saturday’s game against New Orleans, but he will be able to play against Charleston on Wednesday. With a key defender sent off, Head Coach Phoday Dolleh had no choice but to bring another one onto the field for the second half. That defender was Kemar Brown, who he entered the game along with DZ Harmon. They replaced Taka and Ferrety Sousa, respectively. Following the red card towards the end of the first half, the match started to get chippy. There were a large number of hard challenges that led to a variety of things including a Revs player being down for an extended period of time, a red card for the Revs’ Adam McCabe, yellow cards for Alex Harlley and Rene Enang of the Silverbacks, and Kemar Brown having to be helped off the field before a set piece. It wasn’t pretty in the end, but the Silverbacks managed to hold on to their narrow lead to pick up their third consecutive win in all competitions. It was a great accomplishment considering they had already played the night before and then had to play in a very chippy game with 10 men for the majority of it. After the conclusion of the game, the Silverbacks Twitter account tweeted that Thomas Hunter was a “literal wall of red bricks,” and in all honesty that was a pretty fair description. Thomas Hunter made a lot of the saves that he supposedly didn’t have to make on Friday because “the defense made him look good.” Not saying that the defense did a bad job by any means, but considering how many saves he made, I think he earned his fair share of the credit on Saturday night. After having his clean sheet ruined on Wednesday by an unfair penalty decision, Hunter managed to grab two of them in as many days. Let that be a lesson to you kids out there, good things DO happen to good people. The Silverbacks next game is against Charleston Battery at Silverbacks Park in the second round of the US Open Cup. Unfortunately, the game is scheduled to kick off at 3:30, but I’m already over 850 words, so I’ll wait until the preview for that game before I delve deeper into that controversial topic, as well as other topics about Wednesday’s clash against the hated Charleston Battery. The Silverbacks advanced to the second round of the U.S. Open Cup after a dominating 4-1 win over SC United Bantams. A goal from Abraham Lansana, two goals from Deon McCaulay, and a goal straight from kickoff by Alex Harlley were enough for the Silverbacks to earn the right to host Charleston Battery next weekend. The game was originally scheduled to kickoff to kickoff at 3:30 pm but was delayed until 5 due to “US Soccer Clearance Issues” that ultimately kept Taka and Abdul Bangura from playing. Meanwhile, Thomas Hunter was given the start in goal, and for most of the game, he didn't put one foot wrong. He had a clean sheet going until a Bantams player went down in the box and was awarded a penalty despite the Silverbacks defender seemingly getting all ball. Leandro Brown then sent Hunter the wrong way to make it 3-1. There wasn't much of anything he could do about it, but he still played a fantastic game. Maybe if the ref in his next start is a bit more competent, he will get his clean sheet. What happened next blew the minds of everyone who witnessed it, and also everyone who saw it on the internet hours later. Alex Harlley noticed that the Bantams keeper was off his line, so right from kick off he the launched the ball into the air, over the keeper, and into the net to make it 4-1, which was the final score. 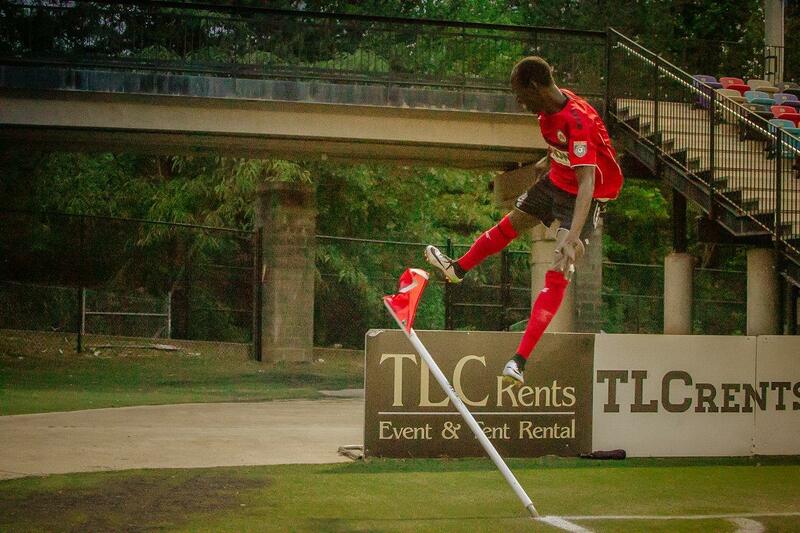 Before the game against Charleston next Wednesday, the Silverbacks still have two hurdles to clear. These two hurdles are Carolina United on Friday, and Georgia Revolution on Saturday. I know what you’re thinking: “But Taylor, I have never heard of Carolina United, who the heck are they?” Well, you might remember them from last year as Carolina Discoveries, but right before the season started, they rebranded. Apparently, they thought we needed another club called “United” in America. The name might be different, but considering that they were blown out 4-1 by Inter Nashville, a club playing the first game in their history, it seems like they’re still the same old Discoveries. Their lone goal was scored by Daniel Revivo, who played his College Soccer at Winthrop from 2005-2009. Their game against the Silverbacks will kick off at 7:30 on Friday, at Silverbacks Park. Like Carolina United, the Georgia Revolution also lost to a team that was playing the first meaningful game in their history last Saturday. Asheville City defeated the Revs 2-1 last Saturday. Before the game against Asheville, the Revs were defeated 7-1 by Peachtree City MOBA in a friendly. The Revs roster does look slightly better on paper this year, partly due to the signings of former Silverbacks fan favorites Bryce Billington and Borfor Carr. Saturday’s game will be the first game at North Mt. Carmel Park in Hampton, Georgia. Probably the simplest way to get to North Mt. Carmel is exiting 75 on Jonesboro Road in Mcdonough and then turning left onto N Mt Carmel Road. If you underestimate how long it takes you to get to Henry County, there’s a decent shopping center on Jonesboro Road if you need time to kill. But apart from that, there’s about as much to see as there was when the Revs played in Conyers. It’s bound to be an interesting two days for the Silverbacks. Come to Silverbacks Park after getting off work on Friday, and make the trip down to the Southside and help Silverbacks fans take over the Revs’ new home, just like they took over their old home in Conyers when the two met up. When both games have been played, Planet Of The Backs will be your home for a breakdown of both games, as well as an in-depth preview of the highly anticipated US Open Cup match between the Silverbacks and the Charleston Battery.